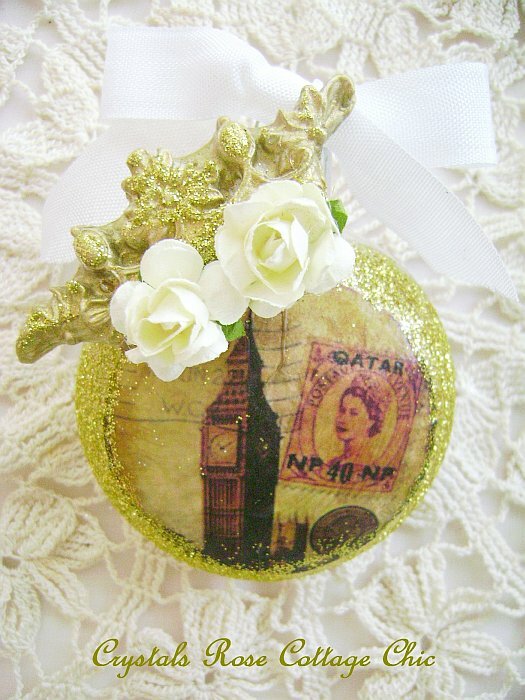 These two, shatterproof ornaments are 3.5" across and clear on the backs.The first one has a wonderful, vintage look print of a post card of Big Ben accompanied by a stamp of the Queen. It has been post marked "London" with the date. To complete the look, it has been tied with a white, vintage look, seam binding bow and the ornaments edges are generously glittered in gold. 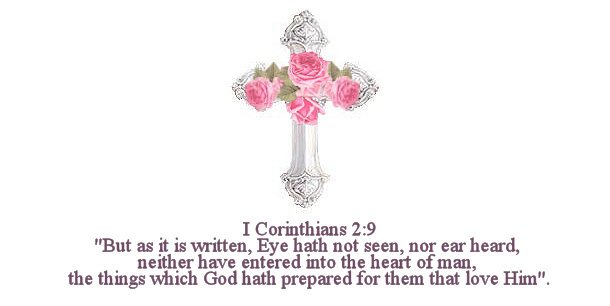 For the crowning touch, I've added a gold crown offset to the side with two romantic paper mulberry roses. 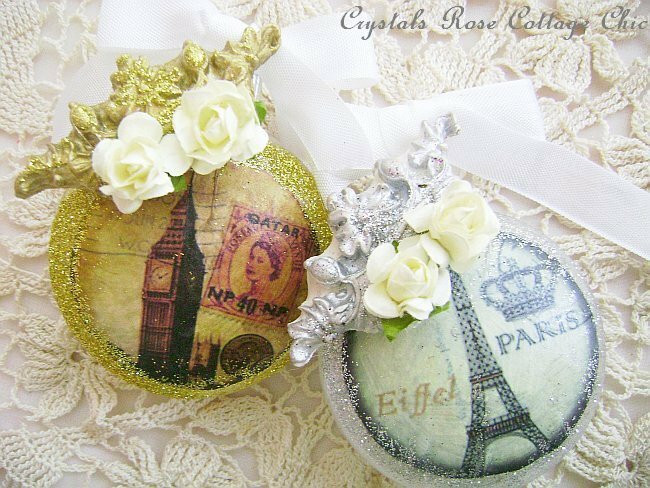 The Paris ornament features the Eiffel Tower with a crown and the words "Paris" and "Eiffel". 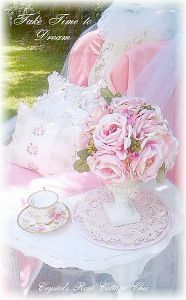 It has been generously glittered in silver and tied with a vintage look, seam binding ribbon. 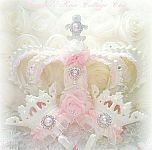 For the crowning touch, they have a silver crown with paper mulberry roses..Tres Magnifique! 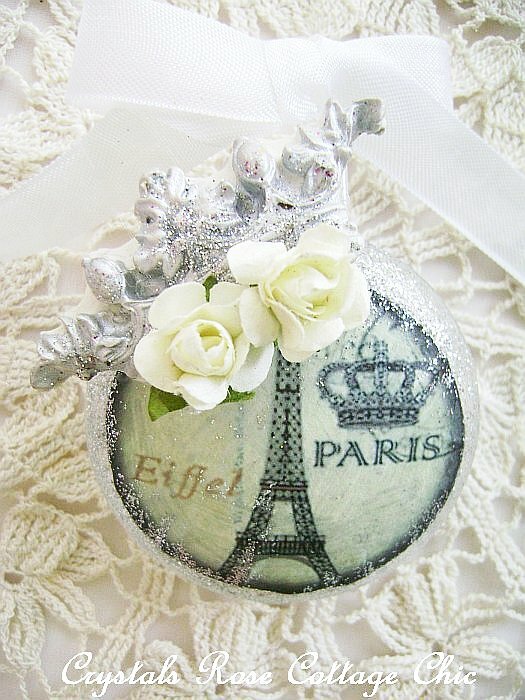 Perfect for the Paris Apt., French Chic tree! Order is for two ornaments as pictured. Thank you and Merry Christmas!